The Moatview Guesthouse offers a 10 bed mixed dorm with AC,and 8 bed of mix dorm with fan also 4 private rooms with ac Hot showers, fast wfi connection, tv room/reception area, use of a fridge, computer, lockers, towels linen, out door sitting area with tables and chairs. The property is just a 2min walk to bars and restaurants and 5min walk to the famous tapea gate. The owner is also a tour operator and can sort out all your trips to tiger kingdom, jungle flight, jungle trekking chiang mai zoo, and temples and package deal to the south islands. There are scooters and bikes available for rental. The famous Muay Thai fighting is also just a 5min walk away. 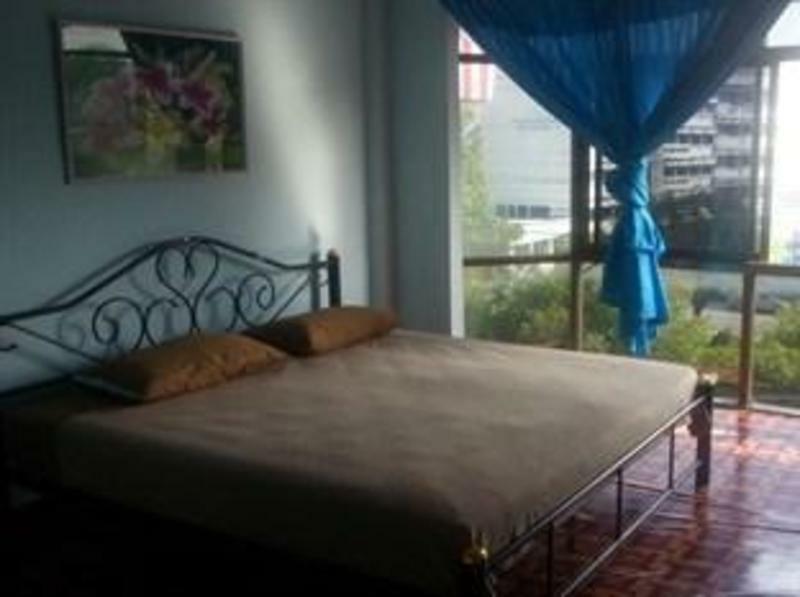 The property is with very good value for money for the modern day backpacker. It is a very friendly hostel. The owner is a Thai local but speaks perfect English. He will help you plan your journey and you may ask anything about the city and local areas. From the airport, train station and bus station, it is 10-minute taxi ride. Once you come into the city center, you will see the famous tapea gates if you walk south(right), and follow the moat up you will find us on the opposite side of the road to the moat. If you take a tuk tuk, just tell him The moatview Guesthouse Moonmaung Road near the entrance of Moonmuang Soi 1. The guesthouse is just 5 second up north from the Moonmung Soi(lane ) 1 and on the main road of Moonmuang Toad.